There are many ways to boost your business website ranking from sophisticated link building strategies to improving the page loading speed. However, it’s essential to understand that ‘fast’ is a highly relative measurement in the world of SEO. Search engine optimization is a long-term strategy with results removed at least 4-6 months on average. Sometimes you can increase your ranking faster, but there are too many factors affecting it to achieve an immediate boost. From now on, Google uses website loading speed as one of the important ranking factors (Search Engine Land), so speeding up is a must if you want to have a chance. This change came in conjunction with the Mobile-First algorithm as Google is prioritizing mobile searches due to the fact that mobile users now consume nearly double the digital time (more in some countries) than desktop PC users (Smart Insights). Google offers its own tool, PageSpeed Insights, which can analyze website loading speed and offer suggestions for improvements. You can also use other similar tools, but generally website speed optimization hinges on how well the code is designed, how well the visuals are optimized, and how many plugins and other add-ons you have. Your hosting provider and server also affect the speed. Link building is not only alive but striving, according to a marketing expert Neil Patel. He also proves with his own example that this SEO tool can be used to boost a business website’s ranking fast. Creating some links yourself by launching several websites. The multiple domain strategy can be used to enhance your brand, especially if you have several ‘microbrands’ under it. You can also use it to boost ranking for a specific keyword. However, for it to run smoothly, you’ll need to create many domains and manage all of them efficiently, so be sure to find a reliable multiple website hosting. Guest posting on relevant blogs to attract traffic from their already established audiences. You’ll get an authority boost as well due to the fact that your article is posted on what essentially is an influencer blog. Post your content on social media, especially the type to attract shares, like infographics and list-posts. If you want to boost a business website ranking, you need to focus not only on attracting traffic but on actually keeping people engaged with your pages. The longer time they spend there, the better are your chances to rank high with Google because its algorithms account for bounce rate. To enhance engagement you need to post better content and be generous with linking to the other pages on your website to keep the readers delving deeper. Posting interesting videos and informative images, like infographics, will also help you keep people studying your website longer. To compete for the first place in Google Search results you need to not only boost a business website ranking but also make sure it doesn’t start dropping for seemingly no reason. Never forget that Google launches several dozen protocol updates a year. 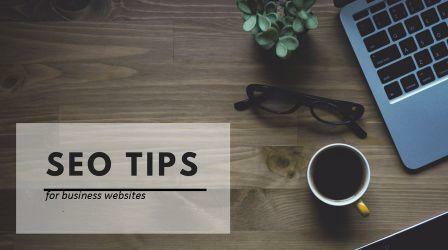 This means that your well-optimized website might become much less efficient overnight. That’s why it’s essential to use tools like SEMrush or Ahrefs to keep an eye on your website’s SEO. This will not only help you assess your optimization realistically and improve your strategy. Regular audits will also inform you that a major change has happened and that now you need to rush with your own upgrades to stay on top.